Two prominent doctors in the “alternative medicine” world have died in the past few days. 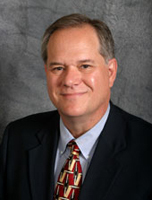 The first, Dr. Bradstreet, formerly lived here on the East Coast of Florida,. He then moved to our neighboring state, Georgia. Mainstream news is reporting that his body was found in a river in North Carolina and that he died of an apparent “self inflicted gunshot wound to the chest“. The funeral is in Shelby, North Carolina. Shelby is the very small town of 20,000 and the same town where they just apprehended the Charleston South Carolina mass church killer Dylann Roof around the time of Dr. Bradstreet’s death. Some doctors are reading this tonight and writing me that they find it suspicious and are worried. I too am concerned as my other half is a prominent controversial doctor. Another doctor with a popular practice (whose name I cannot disclose yet) died suddenly on Father’s Day here on Florida’s East Coast. He was healthy, fit had an additional PhD in Nutrition from Harvard. We are saddened by the sudden death of both doctors. We will continue to update you as more information comes in about the death of Dr. Jeffrey Bradstreet and of the other unnamed doctor whose name I cannot share yet. Our hearts go out to both their families and friends during their time of loss.